Dyslexia - Signs and Symptoms to Identify the Condition! 6 Can Dyslexia Be Treated? Dyslexia is a reading disorder that is commonly seen in children who have normal intelligence levels. The common problems in dyslexia are reading fast, spelling out words, writing words and fast reading. They also have trouble in pronouncing the right words and getting the sound of the word correct in their mind. Most of these troubles come to light when the child starts going to school. You could be thinking is dyslexia a mental disorder. The answer is no! The most important thing here is to differentiate dyslexia from reading disabilities caused due to hearing or visual problems. There are two known types of dyslexia- the first type is the difficulty in reading due to language processing and the other is due to error in the visual processing. The main problem is trouble in pronunciation, spelling and fast verbal visual conversion. Based on the presentation, the type of dyslexia may be identified. Heredity and genes: Genetics have a very strong role to play in dyslexia. About 49% of the parents who had dyslexia will pass it on to their children. Siblings also have a tendency to acquire the disorder. Dyslexia runs in the genes and so a positive family history is very important during the analysis of the child. Anatomy of the Brain: When studies were carried out to study the imaging results of the brain in normal people as compared to dyslexics, it was found that there are differences in the areas of the brain that are related to the reading and writing skills. So the recognition of the sounds and their transformation into words becomes difficult in the brains of these children. After proper teaching and dyslexia tutoring, changes can be seen in the brain in these areas. Difficulty in reading simple lines in-spite of getting the best teacher and parental guidance. Dyslexic children are slow in learning to talk and their pronunciations are not very clear. They tend to mix up similar sounding words and also are unable to pronounce a few specific words and sounds. The manipulation of the sounds in the head is the problem. 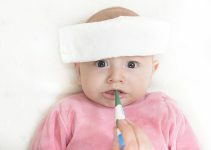 There is a history of delayed milestones in the childhood like crawling, teething etc. Delayed speech development and when the child speaks, the words are unclear and tend to mix up a lot. A dyslexic child will be a lot clumsier than a normal child. The hand eye coordination is difficult and so tying shoe laces and similar activities may be impossible for the child to master. Left and right are almost always mixed up as the child cannot figure it out. Reversal of number and alphabets when writing. Example “b” and “d”, “m” and “n”. 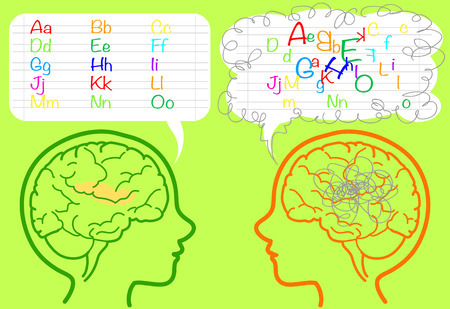 The brain finds it difficult to differentiate between similar looking alphabets and numbers. If you try to see what dyslexics see, it can be very confusing and disturbing to you. Difficulty in remembering spellings of words. Spelling difficulty is very commonly seen in school children. While studying, dyslexic children may find it difficult to remember tables, math formulas, day of the week or similar things where a series of information is presented with numbers. They may remember it today and forget it the next day. These children have a normal intelligence so they comprehend and understand everything but there is selective disruption. If there are two syllables in a word, the pronouncing them both becomes difficult as they cannot process the sounds effectively. Dyslexic children have a very short span of concentration. This could be because in their mind they keep trying to get things straight and finally get exhausted and give up. The sequence of ideas in the mind of a dyslexic child may sound irrational to others. Many children with dyslexia also have ADHD-attention deficit hyperactivity disorder. The presence of autoimmune disorders is also common in dyslexics. Thus adhd and dyslexia have a strong connection. If any parent or teacher notices the traits and symptoms of dyslexia, then it is most advisable to contact an expert and get the child thoroughly analysed. A professional level evaluation will take into consideration a number of factors and then reach the diagnosis. The main job of the dyslexia doctor is to rule out other learning disabilities and to confirm dyslexia so that the treatment can be specific and effective. Fluency in reading and pronouncing new words. Dyslexia Test: Systematic psychological testing helps the teacher or parent to design a customized teaching plan for the child. The teaching for such children is done by stimulating the special senses like touch, sound, vision and hearing. Dyslexia resources like the following are very useful. Example the child is made to practice writing of alphabets on a sand plate rather than in a book, feeling the shapes of words and hearing the mathematical tables or calculations. Guidance: It is very essential that such children receive equal importance and opportunities like normal children. They should be encouraged and helped to overcome their difficulty in writing and reading. Thousands of people with dyslexia have gone on to become successful in life and their examples should be given to the child to boost up his self confidence. Help for dyslexia should be taken up as a social cause. Continuous follow up: The development of dyslexic children can be enhanced by a regular and continuous follow up on their progress and improvements. A record of all such improvements including the handwriting and alphabet samples should be preserved to assess the changes that have happened over a period of time.